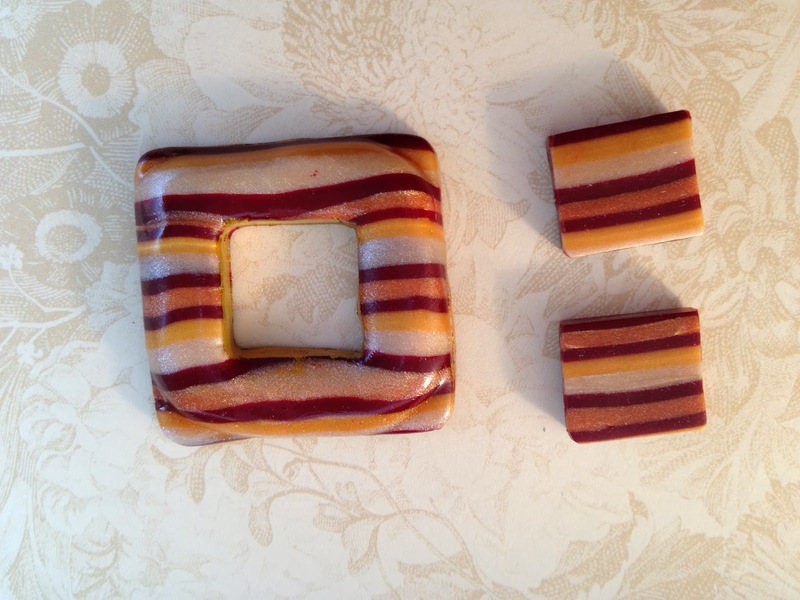 I promised myself that after the new year I would delve back into the world of polymer clay. 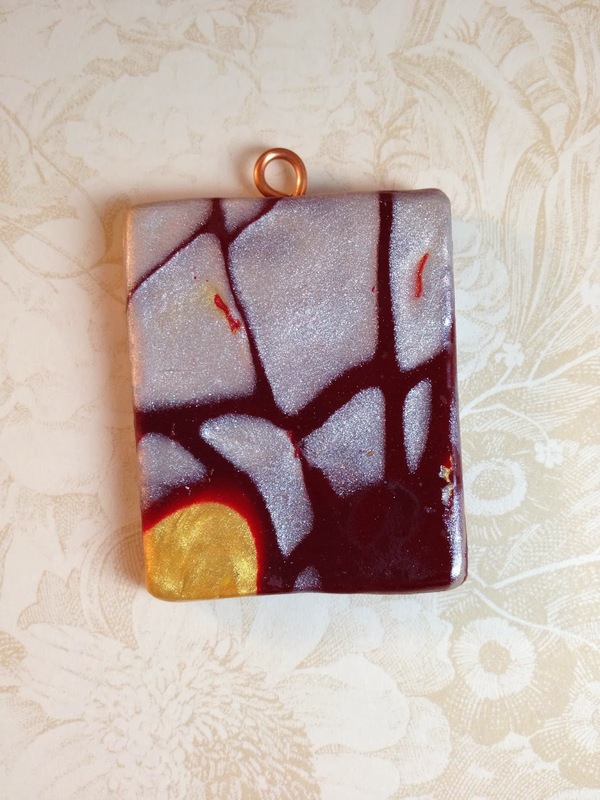 One of my favorite techniques is Mokume Gane [which I have blogged about before >HERE]. Next I covered an old candy tin lid and treated the side walls of the tin with Ranger patina to cover up the markings. Here you see a before & after. With still more clay left I started thinking about what else I could do with it. 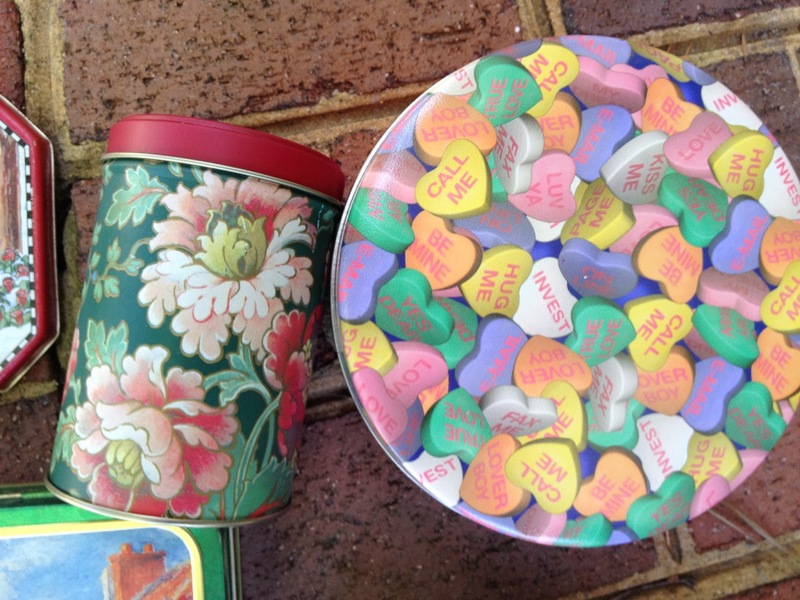 I have quite a few tins sitting around that I have used for RPT [re-purposed tin] jewelry. I cut apart the round heart tin at left, hammered, sanded and shaped it and used the wall of the container as a form for a cuff bracelet. When cutting Mokume Gane, you have a choice of inside or outside slices. Outside gives a different design with each slice, but if you lay it to the inside you get a mirror image. 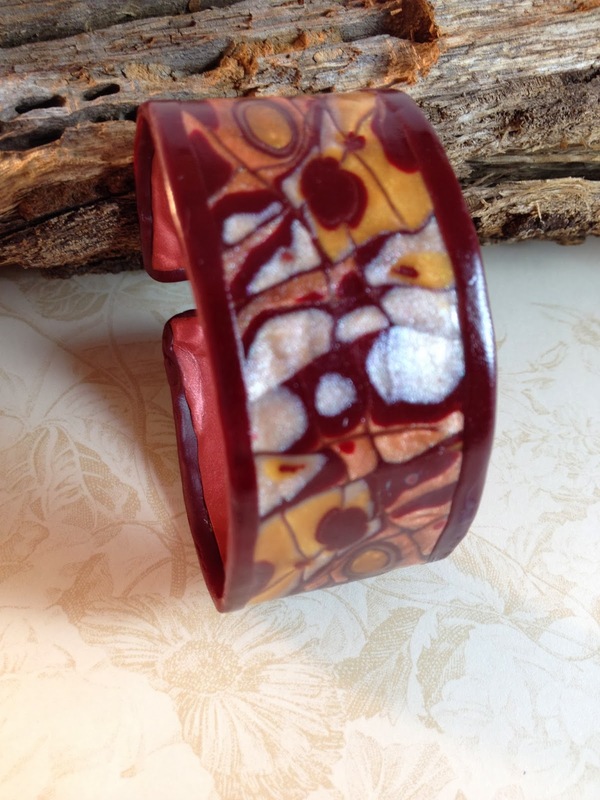 When I applied the slices to the cuff below, I wanted a mirror image. To my amazement, when I flipped it over, I saw an OWL staring back at me! Do you see it? Then I cut, hammered and shaped another piece of tin, narrower this time and made another bangle. 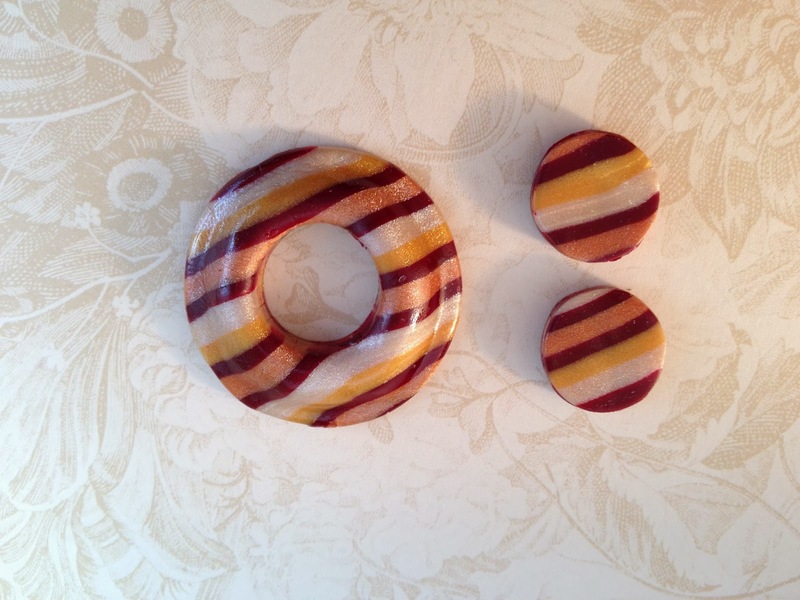 Here are two sets of focal and accent beads I made from the mokume stack scraps which are trimmed prior to manipulating the clay. Last, I was left with a pile of remnant clay bits. I hate to waste and I love to tinker, so I rolled them into a log and pushed it into my extruder with the hex bit in place and extruded the whole lot . 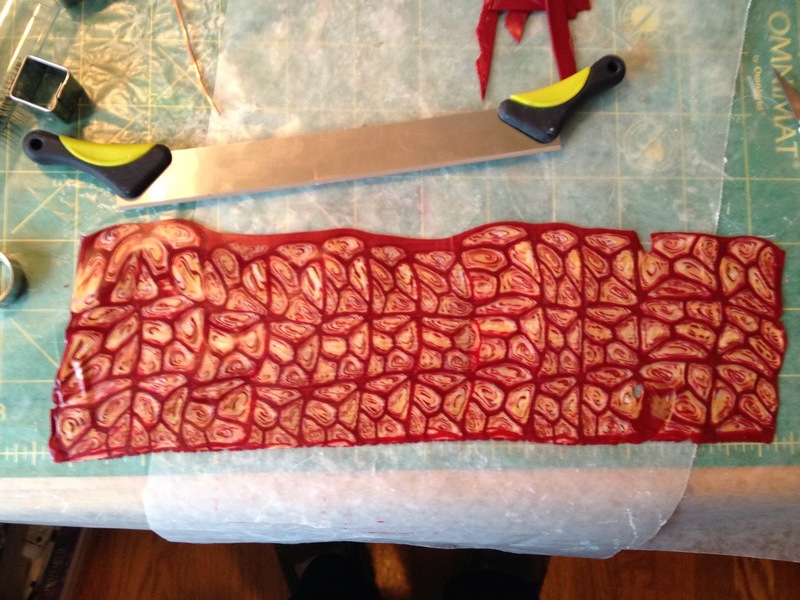 When the log was expelled, I covered it in a thin wrap of crimson [also a remnant] and proceeded to stack, cut, layer and roll through the pasta machine. This was the last little piece. I rolled it through the pasta machine and covered a hideously ugly polymer square from an old project. Now it reminds me of a sunrise. Scraps & Tin = Thrifting Thursday. 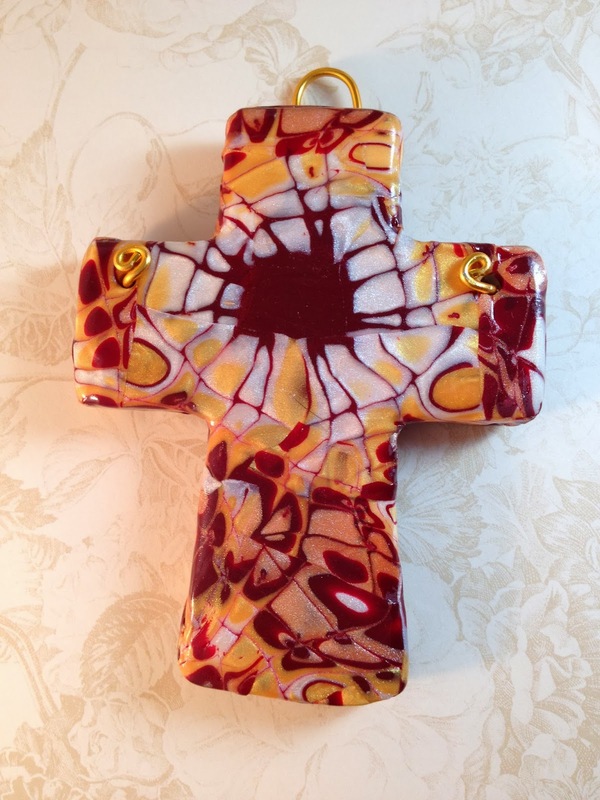 I never thought about using tin and covering it with polymer clay. I wondered how people made cuff bracelet. How long do you bake it. Pretty neat!